As part of its $250 million fleet upgrade program, Norwegian Cruise Line added a 24-hour pub and a mojito bar to the 2,400-passenger, seven-year-old Norwegian Gem. The New York-based ship now has O’Sheehan’s Neighborhood Bar & Grill, the popular round-the-clock eatery first introduced on the Norwegian Epic. The complimentary pub serves comfort food including fish-and-chips, chicken pot pie, ribs and burgers, as well as hearty breakfasts and thick milk shakes. In addition, specialty restaurant Moderno Churrascaria — the line’s Brazilian-style steakhouse — was relocated to a more intimate setting on Deck 13. Sugarcane Mojito Bar, first introduced on Norwegian Getaway, was installed right next to the churrascaria and features hand-crafted mojitos in a tropical setting. Norwegian Gem operates nine-, 10- and 11-day Eastern Caribbean cruises through April 15 to ports including San Juan, St. Thomas, St. Maarten and Tortola. 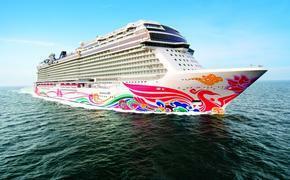 From April 24 through Sept. 5, Norwegian Gem will sail seven-day Bahamas and Florida cruises. Introduced in May, the Norwegian NEXT upgrade program is adding signature features introduced on newer ships throughout the fleet. The program also enhanced the fleet’s beverage program with a new wine menu developed in partnership with the Michael Mondavi Family and a destination-based hand-crafted cocktail menu. New entertainment also is being introduced along with activities such as the H2GLOW Party, first introduced on Breakaway and Norwegian Getaway.